Young adults who have greater aerobic fitness also have greater volume of their entorhinal cortex, an area of the brain responsible for memory, Boston University School of medicine (BUSM) researchers have found. 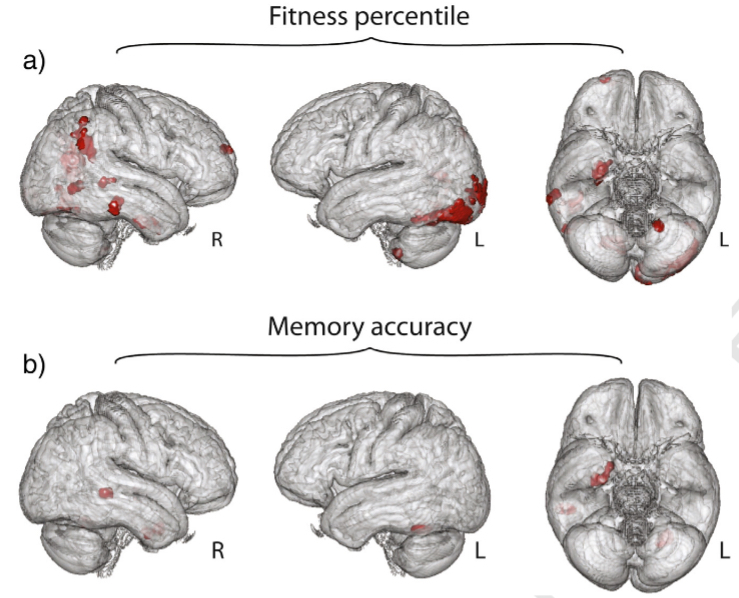 While aerobic fitness is not directly associated with performance on a recognition memory task, the participants with a larger entorhinal cortex also performed better on a recognition memory task. The entorhinal cortex is a brain area known to show early pathology in Alzheimer’s disease, which is characterized by profound memory impairment. The researchers recruited healthy young adults (ages 18-35 years) who underwent a treadmill test to measure aerobic capacity. During this test, the amount of oxygen and carbon dioxide in the participants’ breath as they walked or ran on a treadmill was measured. Participants then underwent magnetic resonance imaging and performed a recognition memory task. Entorhinal and hippocampal volume was determined using a method known as voxel-based morphometry and then regression analysis to examine whether recognition memory and aerobic fitness predicted brain volumes. “Our results suggest that aerobic exercise may have a positive effect on the medial temporal lobe memory system (which includes the entorhinal cortex) in healthy young adults. This suggests that exercise training, when designed to increase aerobic fitness, might have a positive effect on the brain in healthy young adults,” explained corresponding author and principal investigator Karin Schon, PhD, BUSM assistant professor of anatomy and neurobiology. These findings appear in the journal NeuroImage. Converging evidence supports the hypothesis effects of aerobic exercise and environmental enrichment are beneficial for cognition, in particular for hippocampus-supported learning and memory. Recent work in humans suggests that exercise training induces changes in hippocampal volume, but it is not known if aerobic exercise and fitness also impact the entorhinal cortex. In animal models, aerobic exercise increases expression of growth factors, including brain derived neurotrophic factor (BDNF). This exercise-enhanced expression of growth hormones may boost synaptic plasticity, and neuronal survival and differentiation, potentially supporting function and structure in brain areas including but not limited to the hippocampus. Here, using voxel based morphometry and a standard graded treadmill test to determine cardio-respiratory fitness (Bruce protocol; VO2 max), we examined if entorhinal and hippocampal volumes were associated with cardio-respiratory fitness in healthy young adults (N = 33). In addition, we examined if volumes were modulated by recognition memory performance and by serum BDNF, a putative marker of synaptic plasticity. Our results show a positive association between volume in right entorhinal cortex and cardio-respiratory fitness. In addition, average gray matter volume in the entorhinal cortex, bilaterally, was positively associated with memory performance. These data extend prior work on the cerebral effects of aerobic exercise and fitness to the entorhinal cortex in healthy young adults thus providing compelling evidence for a relationship between aerobic fitness and structure of the medial temporal lobe memory system. Two comprehensive reviews found little evidence of an intensity threshold for changes in HDL cholesterol, LDL cholesterol, or triglycerides, although most studies did not control for exercise volume, frequency and/or duration, and were conducted using intensities ≥40% VO2max. The American College of Sports Medicine (ACSM) recommends that most adults engage in moderate-intensity cardio-respiratory exercise for at least 30 min/day, at least 5 days per week, for a total of over 150 min of exercise per week. The levels of physical exercises are associated with lower total visceral fat, liver fat, and intramuscular body fat, with the active twin having on average 50% less visceral fat and 25% less subcutaneous abdominal fat than the inactive twin. Edwar MA, Clark N, Macfadyen MA. Lactate and ventilatory thresholds reflect the training status of professional soccer players where maximum aerobic power is unchanged. JSSM 2003; 2: 23-29. Is your thinking chaotic? There’s a model for that. Try to remember a phone number. You’re now using “sequential memory,” in which your mind processes a sequence of numbers, events, or ideas. It underlies how people think, perceive, and interact as social beings. To understand how sequential memory works, researchers have built mathematical models that mimic this process. The new model, described in an open-access paper in the journal Chaos, may help scientists understand a variety of human psychiatric conditions that may involve sequential memory, including obsessive-compulsive disorder, bipolar, and attention deficit disorder, schizophrenia and autism. Cognitive modes are the basic states of neural activity. Thinking, perceiving, and any other neural activity involve various parts of the brain that work together in concert, taking on well-defined patterns. When the mind has sequential thoughts, the cognitive modes underlying neural activity switch among different modalities. This switching is called a binding process, because the mind “binds” each cognitive mode to a certain modality. 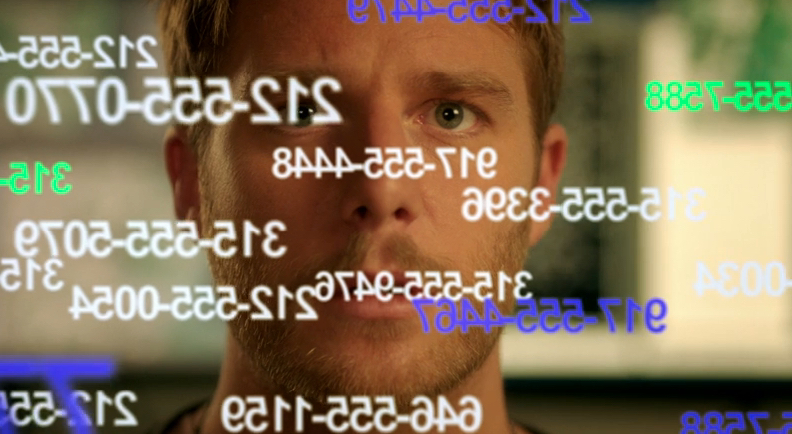 Consider the TV show Limitless. In the show, FBI consultant Brian Finch, aided by the fictional cognitive enhancer NZT, is able to fluidly switch between complex sets of information (modalities), such as phone numbers, using different cognitive modes — rapidly processing a series of phone numbers of suspects on a screen, or analyzing a complex diagram showing potential criminal connections, then explaining it to colleagues, all without losing a beat. In the new analysis, the mathematicians proved a theorem to show that in their model, this binding process is robust and able to withstand perturbations from the random disturbances in the brain. Your mind is full of other irregular neural signals — from things like other neural processes or external, sensory stimuli and distractions — but if they’re not too big, they don’t affect the thinking process. Rabinovich worked with Valentin Afraimovich and Xue Gong, mathematicians at the Autonomous University of San Luis Potosi in Mexico and Ohio University, respectively. Temporal order memories are critical for everyday animal and human functioning. Experiments and our own experience show that the binding or association of various features of an event together and the maintaining of multimodality events in sequential order are the key components of any sequential memories—episodic, semantic, working, etc. We study a robustness of binding sequential dynamics based on our previously introduced model in the form of generalized Lotka-Volterra equations. In the phase space of the model, there exists a multi-dimensional binding heteroclinic network consisting of saddle equilibrium points and heteroclinic trajectories joining them. We prove here the robustness of the binding sequential dynamics, i.e., the feasibility phenomenon for coupled heteroclinic networks: for each collection of successive heteroclinic trajectories inside the unified networks, there is an open set of initial points such that the trajectory going through each of them follows the prescribed collection staying in a small neighborhood of it. We show also that the symbolic complexity function of the system restricted to this neighborhood is a polynomial of degree L − 1, where L is the number of modalities. Using gene therapy to increase a crucial cholesterol-binding membrane protein called caveolin-1 (Cav-1) in neurons in the hippocampus* of the brain improved learning and memory in aged mice, according to findings from a new study led by scientists at The Scripps Research Institute (TSRI), the Veterans Affairs San Diego Healthcare System (VA) and University of California (UC) San Diego School of Medicine. The result for treated mice was improved neuron growth and better retrieval of contextual memories — they froze in place, an indication of fear, when placed in a location where they’d once received small electric shocks. The study, published recently online ahead of print in the journal Biological Psychiatry, expands scientists’ understanding of neuroplasticity, the ability of neural pathways to grow in response to new stimuli. * The hippocampus is a structure in the brain thought to participate in the formation of contextual memories — for example, if one remembers a past picnic when later visiting a park. Background: Studies in vitro demonstrate that neuronal membrane/lipid rafts (MLRs) establish cell polarity by clustering pro-growth receptors and tethering cytoskeletal machinery necessary for neuronal sprouting. However, the effect of MLR and MLR-associated proteins on neuronal aging is unknown. Methods: Here we assessed the impact of neuron-targeted overexpression of a MLR scaffold protein, caveolin-1 (via a synapsin promoter; SynCav1), in the hippocampus in vivo in adult (6-months-old) and aged (20-month-old) mice on biochemical, morphologic and behavioral changes. Results: SynCav1 resulted in increased expression of Cav-1, MLRs, and MLR-localization of Cav-1 and tropomyosin-related kinase B (TrkB) receptor independent of age and time post gene transfer. 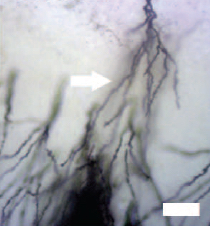 Cav-1 overexpression in adult mice enhanced dendritic arborization within the apical dendrites of hippocampal CA1 and granule cell neurons, effects that were also observed in aged mice, albeit to a lesser extent, indicating preserved impact of Cav-1 on structural plasticity of hippocampal neurons with age. Cav-1 overexpression enhanced contextual fear memory in adult and aged mice demonstrating improved hippocampal function. Conclusions: Neuron-targeted overexpression of Cav-1 in the adult and aged hippocampus enhances functional MLRs with corresponding roles in cell signaling and protein trafficking. The resultant structural alterations in hippocampal neurons in vivo are associated with improvements in hippocampal dependent learning and memory. Our findings suggest Cav-1 as a novel therapeutic strategy in disorders involving impaired hippocampal function.